Back in 2013 when I went to India, Filipinos could get a tourist visa on arrival in most airports. As of 2015, however, India required Filipino visitors (as well as other nationalities, except those with Pakistani passports) to apply for an Electronic Tourist Visa. Thus, if you’re planning to visit India, apply for a visa online first, because you can no longer get it at the airport. You must apply for the ETV at least 4 days before your intended arrival date in India. You must arrive in India within 120 days of your application; that is, if you are applying on May 1, you can select an arrival date from May 5 to September 4. Apply here: e-Visa India and choose e-Tourist visa. You will have to upload a passport-sized photo with a white background as well as the photo page of your passport. The e-Visa fee is country or territory specific and can be paid via debit card or credit card. For the Philippines, it’s $50. For other countries, check out this page: ETV revised fee. You will receive the Electronic Travel Authorization (ETA) via your email, and you should print out a copy of this to take along with you. Make sure your ETA status is shown as GRANTED. Check your visa status here. The India e-Visa is valid for entry through 24 designated Airports — Ahmedabad, Amritsar, Bagdogra, Bengaluru, Calicut, Chennai, Chandigarh,Cochin, Coimbatore, Delhi, Gaya, Goa, Guwahati, Hyderabad, Jaipur, Kolkata, Lucknow, Mangalore, Mumbai, Nagpur, Pune, Tiruchirapalli, Trivandrum, and Varanasi. It is also valid through 3 designated seaports — Cochin, Goa, and Mangalore. So, don’t forget: apply for an India electronic tourist visa at least 4 days before your intended departure, and when you receive the authorization, print it out and bring it with you together with a return ticket. You can apply for an Electronic Tourist Visa twice in one year. For Filipinos, bring as well a printout of confirmed hotel bookings, bank certificate, and certificate of your leave of absence from work in case the immigration officers ask for it. I didn’t bring any of those when I went to India, but it’s better to be prepared than be offloaded, especially for those with no extensive travel history. The following was my experience applying for a visa on arrival in India, back when they still allowed TVOA. It’s no longer applicable today. The visa application can be a harrowing experience for Filipino travelers. Aside from coming up with a number of requirements to prove you’re not going to overstay (e.g., for a Schengen visa) or that you have enough money to cover your trip (e.g., Chinese visa), you would also need to spend time and money to apply for it. I was very glad, then, to learn that India has allowed tourist visa on arrival (TVOA) for selected nationalities. Aside from the Philippines, ten other countries can take advantage of this great convenience: Finland, Japan, Luxembourg, New Zealand, Singapore, Cambodia, Vietnam, Laos, Myanmar, and Indonesia. First off, there are only four international airports where the visa on arrival (valid for 30 days from the time of entry) can be processed. These are in Chennai, Delhi, Kolkata, and Mumbai. 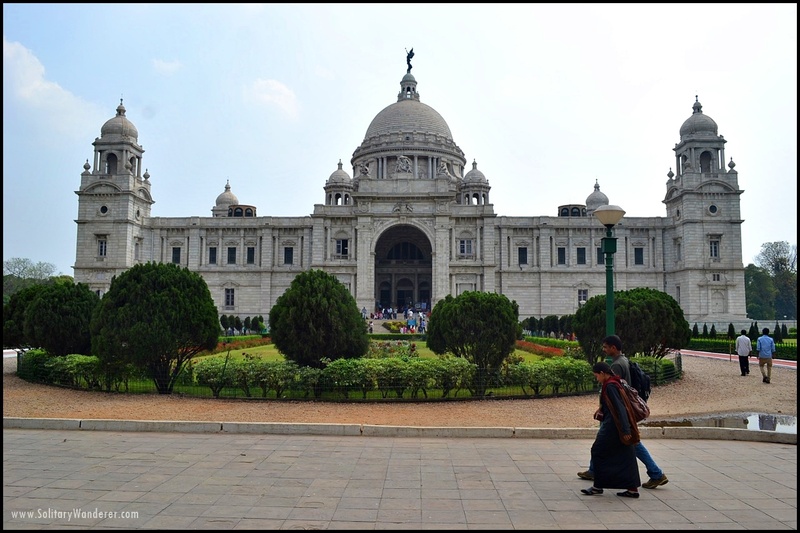 When I arrived at the Immigration in Kolkata, I immediately asked an officer where I can get a visa on arrival. He pointed to an office just left to the immigration counters. There were around four staff members there, and when I stated my business, one gave me a form to fill out while another took my passport to photocopy. After I had filled out the form, I attached my picture and that was it. My receipt for the visa on arrival in Kolkata, India. Do note that they accept only rupees, not US dollars as some websites report. As I only had US dollars with me, one of the staff there had to accompany me to the money changer in the arrival area to change my money. A process that could have taken 30 minutes took over an hour because of it. 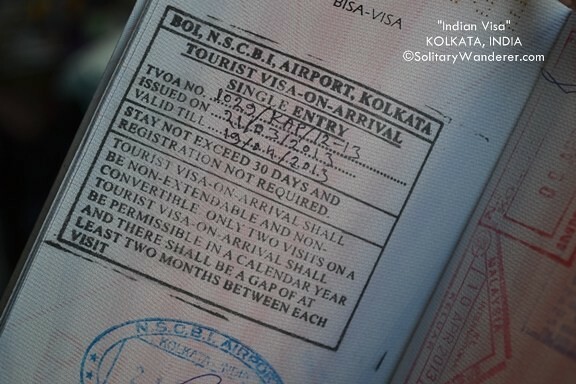 Note that you can only take advantage of the tourist visa on arrival in India twice in a calendar year, with at least two months’ gap between each visit. My single-entry visa good for 30 days. Passport-sized color photo, 1 pc. Nothing could be much easier, eh? One more tip: give exact change. I gave INR3,500 and later, when I asked for my change, the staff said he had already given it to me. I insisted that he hadn’t yet, and after a few back-and-forth, he finally relented to give my change. If you don’t want to spend a lot of money on a taxicab getting out of the airport (it’s very far from the city), take a bus. Once you exit the airport, turn right until you see a few buses parked at the curb. Not all of them pass by the metro, so just ask the driver or conductor. As they may not speak English, it would be enough to say “Metro?” If they give you a long answer, that probably means no. The second bus conductor I asked just gestured me inside the bus, nodding all the while. Fare from the airport to the nearest metro station (probably the Mahatma Gandhi) is INR40. Have you tried the visa on arrival in India? What was your experience? Please my dear one, how are you today? I am Kennedy Korax. Please there are comments i made here, help me and answer me soonest. I am really grateful and waiting to hear from you my dear Aleph. See my reply below. And it’s Aleah, not Aleph. How much po kailangan ipakitang budget allowance sa immagration? ?ok lng po ba kung ung debit card ko sy isang bwan plang??? Hi mam pls help me ….how to apply visa to go in india …..kci plano po nmn pakasal bf ko sa india…. panu po ang proseso…..
At pwede po ba na Ang bf ko mag apply visa for me? if she can be granted 6 months visa because she is coming from Saudi Arabia where she is working. can be extended in India too because we want to stay together and make a living in India please. Also is it mandatory that we need an Indian Sponsor in order to sponsor her come over here. according to people comments here, you are helping them and i believe you will help me too. God bless you and awaiting your positive reply to me as fast as you receive my comment here. Hi Kennedy Korax. The easiest way is to get a 1-month visa which she can apply for online. It’s fast and easy. However, if she wants a longer one (6 months, as you said) she needs to go to the India embassy in Saudi Arabia and apply from there. As I have never applied for a 6-month visa, I can’t give you any information about it. Have your GF go there and get the requirements, that is your best option. Good evening Aleah, please my wife requests your facebook id or whatsapp number or email address or any point of contact she can communicate with you for proper clarifications for more inquiries. Please Aleah, it takes more time here to reply our messages, do keep us posted, thanks. Hi. I’m sorry but I cannot give advice on this. As I said, I have had no experience getting the 6-month visa, and I have never tried applying for it in Saudi Arabia as well. Your best bet is to visit the website of the Indian embassy in Saudi Arabia. This is too important for you to trust someone like me who has never gone through the process. Good luck! thank you for sharing to us to what you experienced. Magkano po ba dapat ang mgging exact pocket money kapag mg travel to India ? Hi Ms. Aleah.. my ticket na po ako for travel to india.. 30 days po cia. Ang kaso di na po ako magbobook ng hotel kasi sa house ng kaibigan ko ako mag stay. Maquequestion po ba un sa immigration natin? I just have some questions, meron na kong roundtrip ticket dated july 3-july17. Hello, ask ko lang natuloy ka ba sa india ? Flight ko kasi this may pero solo traveller ako. I would like to visit India soon and I guess this is just a tip that I needed. Thank you for sharing! Have fun planning your India trip! Hi mam tanong lang po ako kasi magba vacation mga amo ko sa India galing saudi puwede rin ba ako makasama? Ms. Leah tanong ko lang kelangan ko pa ba ng roundtrip ticket eh dito ako manggagaling sa saudi papuntang india…bf ko kasi indian at sabay kaming uuwi pupunta sya india para magpakasal. If coming from the PH, you def need a return ticket. Not sure about the policies in Saudi. When are you going? Hi..I just got my visa granted today. I paid yesterday afternoon only. Told you it would be easy. No need for a travel agency. Congrats! Hello marsha, may i know what happened to ur trip? Been planning about going to india too as solo female traveller. How was the immigration po? Hi.. My boyfriend in Delhi have invited me to visit him and his family in India. He booked my tickets via China eastern airlines. I will be flying to Shanghai-New Delhi and vice versa. It is my first time to travel abroad. I will be enroute on June 30th however I have not yet applied for visa processing because I am still in dilemma as to which would be better,either TVOA or to just apply via a travel agency since I am from the province. I already have copies of my boyfriend’s passport, citizen I.D and the invitation. I have prepared my cert of employment as well. I only have few days left before my date of departure. What can you suggest? Is your flight Manila-New Delhi via Shanghai? Or Manila-Shanghai and then separate Shanghai-New Delhi-Shanghai? Note that you need a visa to China if it’s a separate ticket. My ticket is Manila-New Delhi via Shanghai and vice versa. So do I still need a chinese visa? Hi rachel, i was reading your message and i want to give u an idea. I was in india last month stayed there for a week. I applied tourist visa here in philippines thru BLS IN MAKATI.in fact i already had my tickets when i applied and its so easy to apply as long as ur requirements are complete. Ill be back again on october to spend diwali festival. And i already have my tickets as early as now. Ill be applying for visa again on first week of oct as my flight will be on oct 25. Hope it can help u.?? Hi rose im planning to come in india but my bank accounts have a problem it is a atm remittance .. if I didn’t present my bank account they will give me a visa?? You seem to be extra-ordinary to be brave in India and guide the pinoy/pinay tourist. Great work. Hmm, why have you not directed them to “God’s Own Country’, which is Kerala state? Great work.. Whatsapp me in +973 39733423 if any tourist needs guidance..
Hi MM. I haven’t been to Kerala yet. My loss! Hi Catherine, you don’t need a bank statement as you will be applying online. CLick on the link in the first paragraph, it will lead you to the online visa application page. ms Aleah , I want to go India only for 1 week , my question is, what airport and hotels near to Hyderabad.and how much money do I need all,plssss reply.thanks . I would like to ask ms. Aleah kung ok ba yung dito ako mag apply online sa phils ETV going to delhi pero gusto ko muna mag one night stay sa kuala lumpur before heading to delhi. May flight details n kc ako from manila to kuala on january. Back and forth ticket. Plan ko sana pumunta din s india kahit 5 days lang bago ako umuwi dito s pinas from kuala. I need ur advise pls. Hi Rose. Ganyan ang ginawa ko. May round trip ticket ako to KL, then round trip ticket from KL to Kolkata, India. Kelan ka pupunta? 3rd week ng feb ang target date ko from kuala to delhi. Ill just stay there for one week. Do i need to bring some docs when i apply online? Baka kc ma A to A ako pag andun nko s delhi. Kapag na send na ba nila s email ko yung ETV wala nko magiging problem? Hi Rose. Wala nang TVOA, lahat dapat mag-apply online. May link sa first paragraph ng article kong ito. Kung frequent traveler ka, you shouldn’t have any problems. Just apply for the visa 1 week before your flight, or earlier. Click the link above. Sorry for the late reply, Aileen. I hope nakarating ka na? HELLO Miss Aleah, nabasa ko blog mo.. THANK You for the info. Tanong ko lang.. Pwde pa ba yung visa on arrival sa kolkata airport.? Dun na lang magbabayad. Magtatravel kasi kmi ng partner ko this coming Nov. 30. Papunta ng kolkata. Andito ko ngayon sa macau sya naman nasa Sanya Hainan China dun kmi sasakay. Kinakabahan lang ako baka di dami pa tanong sa immigration dito sa macau at sa Sanya.kapag nakita wala pa ko visa sa india. Ano kya magandang gawin? Nagcheck ako ng online application pero pwede magbyad 4 days bgo ng arrival..not sure kung maaprove nila application ko. Salamat. Apply ka mga second week of December. Remember, there are many non-working holidays, baka madale ka pa. On the day of your flight, bring documents that can show immigration officials na Indian nga ang partner mo and you’re going to join him for a vacation there. Best if he can send you an invitation letter with a photocopy of his passport or ID. You never know dito sa atin kung ano ang hihingin. I’m planning to visit India on Jan 9-16 next year. I work as a online freelance right now, so I dont have company ID or proof of employment, I only have my paypal account and a debit card. Payagan kaya ako ng immigration? First time ko mag travel internationally, since may fascination talaga ako sa Taj Mahal I decided that I want India to be my first international stop. Malayo ba ang Taj Mahal sa Chennai airport? I recently trying to travel on different places dito sa Pilipinas, and I got my travel stop for CDO on June 2016 (already book a ticket) kaya mejo excited. Mejo magtataka sila bakit India ang first international destination mo, malayo and usually mahal ang ticket. If you work online, maybe just bring a recent bank statement, just in case they ask. And book at least the first night at a hotel and print it out. Don’t forget to apply for the visa online at least 2 weeks before, remember lang maraming holidays. I can’t say what the IOs will say, just act confident na lang. Hello Honey and miss Aleah, I just want to share my experience. Last 2013 my first destination was Saigon (RT), but I already had my BKK-Chennai, Chennai-KL ticket with me pero di ko na pinaalam yun sa immigration. Madami kasing tanong kasi solo ako and freelancer din. If you think you can get away with it, wag mo na lang ipaalam. Pero if hindi talaga maiiwasan, just be honest na lang. Be ready with your itinerary in addition to what miss Aleah said. I think one week is enough na man for you to see the Taj and nearby cities, although India is great for slow travelling. I’ll be traveling to India by end of November until a few days before Christmas but I’m a bit concerned about safety. Any advice? Thanks! Sorry for the late reply, Cess. Where will you go sa India? Safe naman in general daw ang southern India, pero ingat lang sa northern part. As you may have read in one of my posts, iba treatment sa babae. But of course, it’s not everywhere. All I can advise is to keep your wits about you, listen to your intuition and don’t be afraid to offend someone of you feel unsafe na. Just get out of the situation. I was there three weeks and aside from those incidents I mentioned in my other post, wala namang problema. Aries, you don’t need an invitation. Just apply for the visa online (link in the first paragraph) closer to your intended departure date. If it will be your first time abroad, remember to prepare documents for the immigration, e.g., certificate of employment/leave of absence, hotel booking (easier than to explain about your friend), bank certificate, etc. Our immigration officials can be strict with new travelers. hi! came by again to check the VOA anyways, I have 17hrs layover in BOM (mumbai) and i wanted to go outside instead of waiting in the airport, considering its just a layover which doesnt exceed 24hrs do i have to get transit visa or a voa? If you want to go outside, you’ll have to get a visa on arrival and pay for it. Not worth it I guess for less than a day. Aries, I went to India from KL because it was cheaper. Not necessarily easier, although our immigration officials here can be very strict. I need to travel to Bangalore in two days time and the online processing of visa says I need atleast 4 days ahead of expected departure date. Are you for certain that they do not issue tourist visa on arrival at BLR airport ? I hope to hear a reply from you. Thanks and God bless! Sorry for the late response. No, they don’t issue a visa at the airport anymore. You need to get it in advance. What did you do? I assume you’re there now? Hi! I was browsing the internet for answers. I’ll be having a 17 hrs layover in mumbai airport. i heard we can get visa online. how long does it take to get the visa? Just one day, but if you’re not going out of the airport (if it’s a connecting flight), you won’t need a visa as you’re not going through immigration anyway. I do travel constantly to different countries too because of work however you blog needs to be updated as their is now an easy way to enter india not going through the hassle of what you’ve been through. Visa on arrival can be done online via the travel agencies located in hongkong for Filipinos all you need to do is fill out the online form scan a colored passport size picture with white background, scan a copy of your passport (colored as well) & pay the processing fee online depends on how many days before your travel, as for me I paid $198 USD because i need my e-visa in 5 hrs time! I arrived in Mumbai & they stamp my passport right away without any hassle. My overall Mumbai experience last month was awesome & though I love the courtyard of marriott hotel where I stayed which is 5-7 mins drive to Terminal 2 their food are a bit expensive! Hi po…. Ma’am ask ko lng po! My friend in India will gonna send me a ticket(up and down) via email… She wants me to visit her place for just seven days… So, ung printout email ticket lng po ba need ipakita sa check In area or meron pa ho ba other docus and papers needed? Kahit one day lang, you need a visa. Click the link sa first paragraph; pwedeng online mag-apply ng visa. Within one day, makukuha mo agad. I plan to go india next month, hindi ko alam kung paano sisimulan kumuha ng visa..kailangan ba mag book na ako ng ticket T hotel reservation para makakuha ako ng visa…i will stay sa india ng 14 days..enough na ba ang $400 for pocket money? Thank you please Aleah help me. Nope you don’t need to book a flight yet just visit this site https://indianvisaonline.gov.in/visa/tvoa.html then follow the steps you will be paying online depending on how many days are you willing to wait for your visa to be emailed back to you with a granted status. Hi Lea. Sharon is right. Just click the link (which is also in the first paragraph of this post) to apply for a visa. Your budget depends on what you will do there and where you will go. For my backpacking trip there in 3 weeks (Kolkata, Bodh Gaya, Varanasi, Agra, Jaipur, Delhi), I spent $500 all in all, staying in hotels and taking trains. Hi ms Aleah! Hope all is well. Im planning to visit india next year and I hope you can help me just to be relax and keep away from thinking too much. 30 days lng ba tlga ang allowed for Indian Visa? Nakakalungkot. 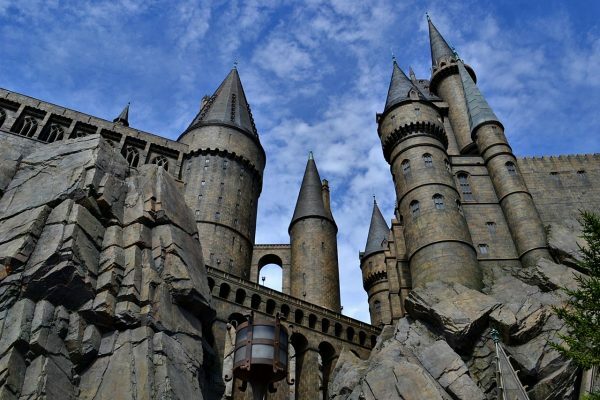 I want to stay there for 1 year. Im now here in Saudi Arabia and my bestfriend is an Indian National. Please advice me my friend. Gusto ko ng tumira doon. Hahahha… Sana hnd ako magkaproblema to travel alone going to Delhi. What is the percentage of having an Indian Visa approved? Because my husband and I are planning to attend an Indian wedding probably this year. Thank you so much! You won’t have a problem getting the visa. All of the people I’d talked to got it in one day. Apply online, the link is in the first paragraph of this post. Safe travels! Hello, Aleah! You are an inspiration. I just booked my manila-kl-kolkata flight for December and I’m excited. I plan to spend 1 day per city plus transit more or less so 8 days kokolkata-varanasi-agra-jaipur-delhi and fly to kathmandu from there and stay there for 2 weeks. I’m scared of the Indian airport and immigration officers though. I’m also worried about airasia. It’d be my first time to fly with them. I can’t afford flight delays. Anything i should be concerned about? What do you think of my itinerary? Will greatly appreciate it! Thanks!!! 4 cities in 8 days is too much. 🙁 Still, it’s doable, especially considering lots of trains in India travel at night. Have you read my recommended hotel/hostel in Kathmandu? Love that city. Also, definitely go to Pokhara! Re immigration, Indian IOs don’t really care, as long as you have the printout of the online visa and an onward ticket. I used and still use AirAsia too and I never had a problem with them. Tanong ko lng po..ano ang maitutulong o halaga ng sponsorship pag magtatravel sa india?at ano po kailangan nyang eprocess for sponsoring? Madali na lang mag-apply ngayon for a visa. Just go the link in the first paragraph and it will take you to the page where you can apply for a visa online. Kuha mo agad in one day. Just make sure to print out the approval form and that you have a return ticket. Have fun in India! Hi Aleah. I am planning to go to India this November. It is my first time travel to India to visit my bf’s family and to attend his sister’s wedding as well. I would just like to ask how much cash do I need to keep and be reflected in the bank statement as requirement for the TVoA? Is there a need for “show money”? If so, how much would it be in case you got an idea. There’s no need for show money. Just go the link in the first paragraph and it will take you to the page where you can apply for a visa online. According to readers, they usually get their approved visas in one day. Print out the approval form and make sure you have a return ticket. Have fun in India! I am currently in UAE and planning to go to India next week. I am a filipino. Question is, how certain is it that they don’t need a bank statement? And also how many days they will release the visa if applied it onlie? Hi Kimberly. Apply online and see if they need a bank statement or not. You can get the visa in a day or less, according to some of my readers. First time ko po mag travel and ako lng po, papunta po ako ng india to pick my bf there kc hinfi cya makapag travel alone papunta dto sa pilipinas..kc hindi cia mkapaglakad mag isa dahil naaccidente cya….pwede po bang hindi kumuha ng tourist visa kc only 1 day lang po ako mag stay doon sa mumbai ….babalik din po ako agad with him back here sa pilipinas?…. Kailangan kumuha ng visa (online na) kahit one day or kahit ilang oras ka lang sa India. Hindi pwedeng hindi. Kung andun ka na rin lang, why not stay longer? Sayang naman pamasahe mo. Also, read the other comments here for tips kasi may mga first time travelers din na nag-comment dito. My friend took me to Siliguri and up the mountains in Darjeeling and Kalimpong, both beautiful cities. Hi Ms. Aleah regarding my last post yes I pushed through I bought all the tickets (mnl-bkk-del) before leaving as I didnt want to take any risk. But I find it easier to pass immigration having a mnl-bkk tix maybe bec it’s just near our country coz there was a time the officer didnt even bother to ask me any question. As for the TVOA we can avail it 2 times a year regardless of the date you availed it in the previous year. So even if I availed it in Nov 2013 I was able to avail it last year twice still. I have also tried getting Indian visa here in the Philippines and it wasn’t that hard also. In fact I think it’s better to get it instead of tvoa bec sometimes hotel receptionists in india ask questions about it coz they are used to seeing the standard visa with a sticker. In applying indian visa here I showed them a bank statement with 40k in it. But actually it’s where I will get the payment for my tickets also hehe. Again thank you Ms. Aleah I wouldn’t have done it and become confident to travel alone if it was not for this blogsite of yours. Adventure is out there! God bless you! Thanks for the update, Cha! Glad your trip went well! Hi mam aleah,i been to india 2 yrs ago and i applied for indian visa thru rajah travel agency,and they ask for so many requirements including ITR.im planning to travel again early next year.is it ok if i will not bring ITR copy with me coz im a plain housewife now.all i have is bank statement,creditcard billing and flight details and hotel booking.i just want to try VOA this time.is it possible that i will travel in delhi now?hope to hear from you soon. Hi Raquel! As of this month, VOA is now processed online, so it may be a bit easier already. No need to go to travel agencies if you’re visiting less than a month! thank you so much mam..yan din po ang sabi sken ng indian friend ko much better if upon arrival ang pg apply ng visa..balitaan ko po kau agad pg andun na ako il b staying for 2weeks there..
Michie, VOA is now processed online. Have you tried it? hi mam. i just want to ask if its okay f il not apply for online visa for india..is it okay il apply upon arrival at delhi airport? my concern s im afraid il b deport back f my visa application will b denied. Hi Michie. As this post shows, you don’t need to file for an online visa. You get a visa on arrival. Automatic binibigay yan sa Delhi airport. If there’s a risk na ma-deny ka, it’s here sa immigration natin. If this is your first time to go abroad, expect questions. Best thing to prepare for it is to bring a certificate of employment and approved VL, one night’s reservation sa isang hotel in Delhi, or an invitation from a friend you’ll be staying with there. Hi! I’ve been planning to travel India next year. It will take 3 days for me to stay in New Delhi. I’d like to know how much does it need for me to have in my bank statement? Because I wanna have my tourist visa approved. Hi. I have plans to spend the new year’s eve in Delhi. Actually I’m planning a Delhi-Agra-Jaipur trip. Already bought and confirmed my tickets then i found this blog, then I got scared. LOL. It will be my first time to travel abroad and I will be meeting a friend I met online too. I am now kind of hesitant to tell the immigration officer that I am meeting a friend there for the first time as I may be denied entry. Any suggestion? Do I declare this or should I just say that I am just on a leisure trip? Thanks in advance. Saying you’re meeting an online friend can be a huge risk, not only in India but in other countries also. If you’re employed, just state that you’re a tourist. As it is your first time to go abroad you may be subjected to a closer scrutiny so bring a Certificate of Employment just in case. PS. It *is* risky to meet an online friend so far from home. Take care! Is Visa on Arrival in India still applicable as of today? We plan to go this 1 Nov. I am actually hoping that we only need visa on arrival in India. However one of my acquaintances is telling me that visa is required in order to visit India. Tried asking a travel agency, they also said the same. However blogs are telling me there is visa on arrival. 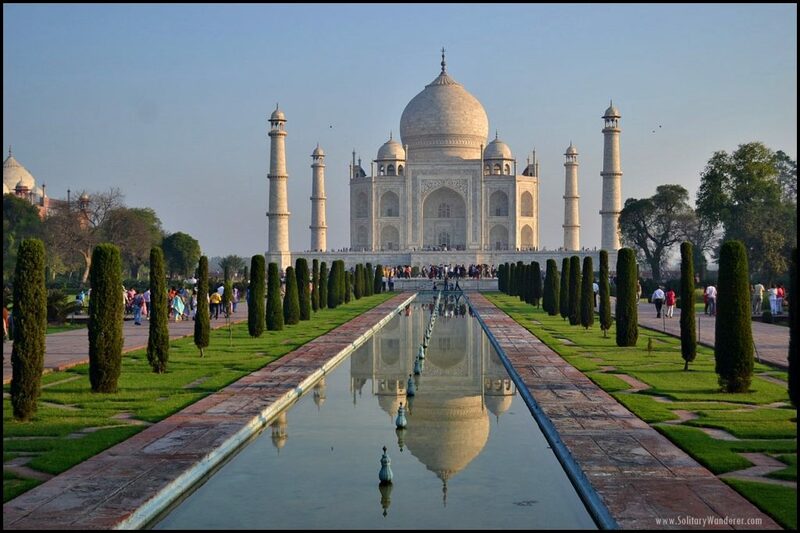 We plan to stay for about 3 days only just to visit the Taj Mahal. Hope you can shed a light on this. Hi Eych. Which airport are you arriving? Yes visa on arrival is still available in India. Just bring the requirements I laid out in my post and you should have nothing to worry about. We will enter India through Delhi airport from Kathmandu, Nepal. Delhi airport offers TVOA, right (from this post)? If this is really the case, we will just get our visa on arrival. Because applying visa here is much expensive than getting TVOA. Thank you so much! Hi ms aleah I’m steffany and I just red all your blogs and experienced in India actually I had a friend there I’d met him in my Facebook and he wants me to go in his country I really want to come but I’m scared this is my first time to travel abroad and I’m planning to go there in this Feb.2015..mag kano kya magagastos ko lahat lahat n expenses kc nag sasave n din aq.hope mbasa mo tong message ko and mbigyan mo ako ng tips thank you so much po..
Hi Steffany. Ask your friend to visit you here first. I spent $500 for three weeks in India, but I went around to several cities. Your most expensive purchase will be the ticket. I highly recommend you go out of the country at least once or twice before going to India. I had a reader here as well who was offloaded because the Immigration doubted her story. It was her first time abroad, too. anyone travelling India… I can provide you help as I am already residing here. Thanks for the offer, David! @ Wyeth: Wow, that’s next month already! Come back here after your trip and let us know about it, k? Safe travels! @ Budoy: The visa on arrival is really easy to get. No questions asked. Of course, you only get 30 days and you can’t use it more than twice in a year. If you’re staying less than a month, you’re good to go. No need to apply for a visa in advance. my indian company in singapore is going to send me to Mumbai for a supply change conference on August 18-21. they try to apply for a conference visa for me but there are many requirements. our hr executive suggested if I will just apply a tourist visa on arrival when Im already in india instead, if i am willing and confident to go by this way. just want to ask you the percentage of approval of this kind of visa for filipino citizens entering india. mayroon din bang di napayagang maka enter na nag apply this kind of visa? hoping for your reply on this inquiry. Reading this has been very helpful for me. I am travelling to India also this month and I already have my round trip tickets (Air Asia as well, very affordable!). I am also flying from Manila to Kuala Lumpur to Kolkata and VV. Good to know I should also bring rupees with me (my friend in India told me to bring dollars only). I may have a unique case, I do not know as I will be staying with an American family there and since I wasn’t sure how India will look at that, I had them get me hotel accommodations just in case. Unfortunately, I do not have any bank statements to bring along. I am crossing my fingers getting a TVoA will be as easy as yours was. Hehehe. I have travelled before so them immigration people do not really scare me. I have more apprehensions on the part of getting a visa on arrival. Just to be safe, I will get a letter of invitation from my friend and also try to get his bank statement. Good luck sa trip ko!!! @ Cha: Sorry to have replied so late! I didn’t realize I haven’t answered you. So have you pushed through with your trip? Can you tell us what happened? @ Mylene: Hey, did you know I stayed in the house of a Solitary Wanderer reader in Gurgaon? Such a small world! im overjoyed to hav read your experience in india…i really really wana go to india but am a litl scared, no one among my friends wud want to go there…(u know, all these stuff relating to harassment esp to women in india)… i know india is a very nice country to see and experiencing diverse culture there wud be so much fun. when is your next visit to india? can i come with you? 🙂 i dont wana be a solo backpacker..
Hi Ms. Aleah im going back to Delhi again this month =) but I want to book tickets with an indian airline coz I find it cheaper than if I book with an airline here in the Phils. So is it ok if I buy mnl-bkk-mnl tix and then buy bkk-del-bkk when i get to thailand? (of course i will hve to check the timings) but Do u think I will have problems in immigration? Or should I have my friend in India buy that bkk-del-bkk tix for me in advance? Also my 2nd question is tvoa can be availed twice in a calendar year with few months interval right, so if I went last Nov 2013, it means this 2014 I can go twice still? Coz im confused maybe they will start counting from November, if so I can only go once then this year eh im planning to go twice this year. Thank you for ur response in advance. =) God bless your trips. @ Janie: You won’t be able to leave the country without a return ticket, so make sure to buy one before your departure. I spent 3 weeks in India, going to 6 cities and I spent $500 all in all (excluding plane tickets) so you see it’s not that expensive at all. I haven’t been to Ahmedabad so I can’t give you specific tips. Food is generally cheap though, and if you’re staying with a friend, then you won’t have to worry about accommodation. 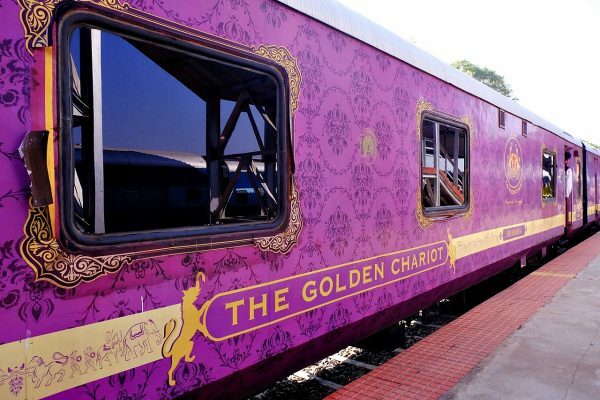 Make use of overnight trains (get the upper bunk) so that you’ll have a feel of what it’s like traveling in India. Howrah Station can be scary, but it’s also very interesting. 🙂 At least it will be a story to tell when you get back. hi maam aleah… i was reading most of your blog post since i am also planning to travel to india next month.. got my ticket na on my way there but haven’t booked my return ticket yet… and i want to commend you that your posts were really helpful for my planning… i never knew about visa on arrival and how does it works and it’s amazing that there’s that thing… i just wonder if you don’t mind how much should i prepare for my pocket money for a week long stay there? i don’t intend to travel and go from one place to another just like what you did because im on time constraint and on a tight budget too. my initial plan is to go in ahmedabad east part of india. do you have any recommendations for me? any tips perhaps? i need more feedbacks so i can plan this trip well… and just like you, my entry will be in kolkata also. please do help me… i would appreciate it a lot… thank you…. @ Roxo Carl: It doesn’t matter where you fly in from. If you have a Philippine passport, this visa on arrival applies to you. @ Pol: Try Expedia.com or AirAsia. @ Fe Siraya: Hi Fe! Please read this post. You will find it will answer all your questions. @ Tina: No questions will be asked on a connecting flight. No need to worry 🙂 And no they will not ask you how much money you have with you. I usually don’t bring a lot because I just use my ATM but in India, it’s a good idea to bring cash. @ Rhona: No need to show money there. I spent $500 for three weeks in India. hey..hi..ask ko lng sana..how much money kaya ang need para makapunta ng india..coz was planning to go on june..bka kasi sa phil immigration need pa show money.nd as u said..dina need ang bank account?is it true??? I am planning to travel to mumbai this july-14 and staying with my friends house. kindly advise the documents i should carry with me for visa on arrival at mumbai international airport and also how much rupees. Hi!I’m planning to visit my friend in delhi this october.where can i book a cheaper tickets?i tried checking in skyscanner but too pricey. Thank you so much for sharing your experience, Dan! 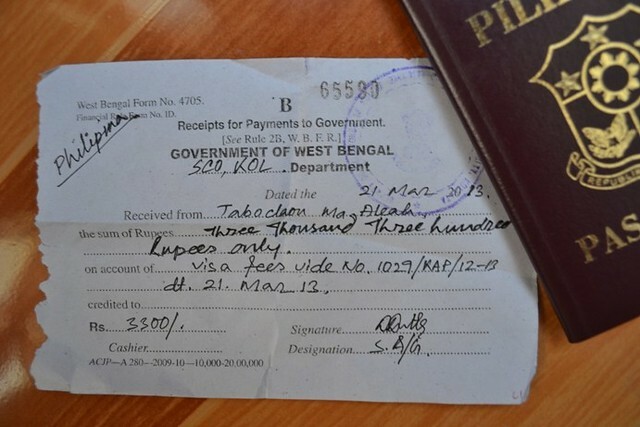 It’s crazy why they only accepted rupees in Kolkata. I mean it’s not so easy to buy Indian Rupees outside of India! Anyway, your sharing has helped others who are going there using the TVOA. Thanks again! Hi, since this blog helped me in some way when I went to India last Jan. 15 – Jan. 20, I just want to share my experience in using VOA in India. Anyhow, my boss asked me to go to India for a business dealings this month. To begin with, the last time I was scheduled for that business dealing last year, I applied for a business Visa with BLS and was approved (valid for 1 month) but was not able to use it since that trip was cancelled. It was expensive though, around Php8,000 plus plus but it was paid by my company. But this time, my boss told me to try the Visa on Arrival so I can fly immediately to India. When I checked the internet, I found this blog. So, I used this blog as a guide (Thanks to Ms. Aleah). Now back to my experience. When I got to our immigration counter, I was not really questioned by the officer but just asked to see my company ID. Since I have traveled many times to many countries and usually 5-7 days only, he just looked to their database my record. I think they were just confirming my identity and that was all. No other questions asked. So, when I arrived in India together with my Japanese colleague who also availed the VOA (our port of entry was New Delhi), we went directly to the Visa on Arrival counter which was separated to the immigration counter. We were given some forms to fill up then payment next. But since I read this blog that they only accept Rupees, so we paid in Rupee, but to my surprise, they only accept US Dollar! Then I tried to remember the blog, it said Kolkata! …hahaha… I guess different port of entry means different protocols… Anyway, I have US Dollars with me but my Japanese colleague had only Yen, so I let him borrowed my US$100. But it took as a bit longer to get out from there since they do not have a change for our US$100. Actually there were 3 other foreigners who did not have exact change also. They also thought that they could pay in Rupee or with their credit card. Anyhow, the guys from the counter were able to produce our change. They radioed some staff to bring small US Dollar bills. Processing was fast actually if they had small bills for change. They did not ask questions like why we are visiting India. Nothing. They just read the form we filled up and gave us our receipts. I hope my experience could also help those who would like to use VOA to India via New Delhi the same way as this blog helped me too. Thanks to Ms. Aleah once again for her blog. @ Heart: Let us know what your experience will be once you’ve gone there, okay? Good luck! @ Jheya: All the tips I can give are already in the post. Let me know if you have other questions. Good luck! Yup thanx Ms. Cha and Ms. Aleah for all the info’s my friend will soon send me an invitation and his account statement too. I hope it shud be enough and officers will let me board. hehehhe crossing my fingers..
@ Mel: Sorry I have no idea. I don’t use travel agencies eh. I bought my ticket online. @ Cha: It’s weird that they had to make it hard for you. Usually when there’s previous travel experience abroad, they don’t ask anymore. Am glad you finally made it there though! @ Anna: Read Cha’s comment (as well as the other comments here). If it’s your first travel abroad, it may be better for you to be over prepared than under. Ask your friend to send you an invitation letter and copy of his ID, just to be safe. aleah!this is so informative.il be going to kolkata ths 21jan.im afraid of being denied as its my first time to travel there.im goin to stay at my friends house and my money is just enuf for two wks.wd i still nd to ask fr my friends bank acct?thanks! Thanks Ms, Aleah,, pero ang mahal ng ticket pag travel agency kumuha ksi nagcanvass ako unlike sa net ,my maisusuggest kb Ms. ALeah na medyo cheap na trvel agncy?Slamat ng marami! @ Bea: As I said above, a bank statement is not necessary. @ Mel: It depends on the carrier. Some really require a credit cards, while others will accept debit cards. An alternative for you is to buy via a travel agency instead, and pay in cash. hi its me again, i really appreciate your answer Do i need bank statement? and if ever atleast how much is needed? @ Cha: It’s very good news that you were allowed to board. Some readers here shared that they were denied by our own Immigration officers. Thanks for sharing your experience here! @ Bea: No, you won’t be asked for hotel bookings. Just bring your friend’s address in case they ask you. @ Heart: Just say you’re going as a tourist. I wasn’t asked, but maybe because I have a lot of travel experience. The “interview” will be with our Immigration officer who may ask you what you will do there, where you will go, if you have money with you, etc. They don’t ask that when you arrive in India. omg Ms. Aleah I had mixed emotions that time I was even preparing myself to get denied of boarding. But maybe bec of my previous travel abroad, proof of employment and amount of money I declared I have with me made the officer decided to let me go. The officer also had to read our chat messages (sigh) coz I wasnt able to show them email correspondence/invitation. So MS. Heart maybe u should prepare that also. Im going back in June so I think im more prepared now thanks a lot Ms. Aleah coz u really inspire me and ur blog is very informative. God bless you. hi, so im planning to go toindia, TVOA, and its hassle free right?you dont need the booking of hotel because im going to stay at my friends house. hope you’ll answer thanks! Hi I just came back from Delhi 2 days ago. And I thank you ms. Aleah for the information and inspiration. It was my 1st time to travel abroad alone. I had no problems availing the tvoa in India. Actually it was more stiff going thru our immigration in NAIA coz they held me for few more interrogation when I told them im meeting a friend I met online(I shouldnt hv mentioned it but I got nervous and im not a good liar so >_<). They weren't aware of tvoa coz they were asking me why I didnt apply for visa or maybe theyre just playing dumb I dont know. Anyway I had the most incredible experience in India and will definitely go back there. @ Asba979: As I said in my post, my bank statements weren’t needed. Cash (or debit card) for your stay there may be enough, though again, they didn’t ask me for that. @ Mel: TVOA means “tourist visa on arrival” which means you will get that *on arrival* in India. You won’t get that here in the Philippines. @ Heart: There’s no cheap direct flights from here, so look online for flights to Kuala Lumpur, and from Kuala Lumpur to Kolkata. I used Air Asia, so my tickets were Manila-Kuala Lumpur-Manila and KL-Kolkata-KL. Immigration officers may ask you why you’re traveling to India for your first trip abroad, and if you can’t present a satisfactory answer, you may have the risk of getting denied boarding. Please read the other comments here. Ate pde rin nman po bng kumuha ng TVOA dto sa philippines db? and my availble pa bng promo sa air asia?thnks. I dont have bank account statement or credit. Card ,pwede ba atm card na lang. ?or cash na lang in US. Dollar,as proof of. Financial standing. ?how much kaya nid? Hi aleah itz me again?? ?as i said i want to travel diz month india delhi……im so worried plz need ur response…..my friend is their already w8ting……..
@ Jane: Good luck in your trip, and let me know how it goes! I’m bound for india for training, thanks for the tips, few thing related to traveling is not clear to me yet, but I’m sure i will be enjoying my stay there. I hope the airport atmosphere, i mean the people in the airport are in good mood when I arrive, para walng hassle. @ Mhary: I took Air Asia in going to Kolkata. Round trip, from Manila (Manila-KL-Kolkata) cost P10,000. It was easy for me to get the visa; I don’t know if it would be the same with other travelers. @ Liza: Hi! Did you push through with your trip? @ MithunontheNet: I read your post, and boy, was that woman the devil! Am glad I didn’t encounter anyone like her ever! @ Jen: Yes, Bangalore is now included. @ Katya_Alex: As long as there’s a flight, there will always be people at the Immigration accepting visa on arrival. do you have an idea until what time can we avail the tourist on arrival visa? we’ll be arriving near midnight in new delhi. we want to be sure that they are still accepting around that time. we just booked and confirmed our flight today plus we still have another visa to process so we dont have enough time to apply for a tourist visa in BSL. thanks! any idea is appreciated. @ Godders: As I said in my post above, the immigration officers at Kolkata didn’t ask for my bank and credit statements. @ Mahendra Singh: If she has a Philippine passport, then she can avail of the tourist visa on arrival in the cities mentioned above. Regarding the process and requirements, please refer to my post, everything’s there. Hi Joy. I sent you an email re the travel agency I recommend. Hi Aleah , there is a my friend she is from phillipines and she is working in liberia as a researcher ,during her veccations she want to visit india just for 7 days , please tell me what is the proceedure to get the tourist visa because there is not any embassy in thi d country . @ Anton: I stayed with a Couchsurfing member in Kolkata, a blog reader in New Delhi, and in Rahul’s Guesthouse in Varanasi. Look for my review of Rahul’s in TripAdvisor. I also have a review there of the hotels I stayed in Agra and Jaipur. salamat kaayo…. hope you don’t mind if i ask your stay in kolkata, delhi and varanasi. this is too much i know, but thanks anyway for sharing. godbless you. i am a fan. @ Anton: Hi! Yes, that’s all that was asked of me. As I mentioned, you will be given a form to fill out (this is in the office at the left side of the immigration counters). Once you accomplish it, attach a photo, give your passport to be photocopied, plus pay the fee, you’re done. Have fun in India! hi there. i’m anton from davao. this entry helps me sa ako plan to go to india. kolkata ang entry ko (from malaysia). i intend to avail the VOA. from your entry, you mentioned 2 important things to comply to be given a visa: the cash payment of INR3,300 and passport size colored photo. that was it? hope i can correspond with you. i will be there on the 22nd of july. salamat. @ Maria: As I said in my post above, you can’t use VOA consecutively. There must be a gap of at least 2 months. If it’s your first time to use VOA, then there’s no problem. @ Maria: Yeah, my tickets were from Air Asia: Clark-KL-Clark, KL-Kolkata-KL. They don’t ask if they see that you’re well-traveled already. If you’re not, they may, so be ready to just answer their questions confidently. Bring your company ID and company brochure just in case. Check beforehand that your destination airport in India accepts VOA. Not all do that. Ah Okay..What about the immigration here in our country..?Is there some interrogation regarding visa and everything?As I have heard that some passengers ddint able to get their flight bound to India because of the tourist visa issue. By the way,did you took a flight from MNL-KL via Air Asia..? Thanks for the reply..God bless! @ Maria: Even if your ticket is a connecting one via KL, you still have to pass by the Malaysian immigration for them to stamp your passport, since you entered their territory. Once you’re out of the arrival area, just follow the directions for the transfer passengers. You don’t have to check in again, if it’s a connecting ticket, but you do have to pass immigration again before you can board your flight. Greetings!I have visited some places of India and got my visa from here.It’s great knowing that you got the VOA.Hassle free from gathering so many documents for applying visa.And now we can fly to India just to have a round trip tickets and hotel bookings..I would like to ask if I would take a flight from MNL-KL-BANGALORE,If I will pass through Kuala immigration then check-in again bound to Bangalore..I hope you can help me this.Thanks! Hello Alleah, thank you for your very informative post. I just want to clarify and make sure of everything since it will be my first trip abroad. So to be able to reach india through TVOA, (1ST: is to purchase roundtrip ticket to india, 2ND: after purchasing the ticket i can fly to india right away, 3rd: after the arrival, go to immigration counters showing the required documents for the visa and pay the fees needed. Is is this all that i will do? I hope to see ur reply on my query. As i need to make sure. Thank you. and Godbless. this is great news! always been wanting to go there. would you know when this will be permanently implemented? @ Frugal Expat: Thanks for dropping by! @ Lyndsay: That’s nice to know. I wonder if it covers those who get the TVOA? Thanks for the tips! However, I just read a recent post from Airasia.com that India has lifted the 2 month gap restriction already. Thanks for the tip Aleah..
@ Filipina: Delhi is the nearest. From there, you take an overnight train to Agra where Taj Mahal is. Never been to Calcutta but I imagine aggressive touts were there as well (like New Delhi). Hey kwento some more on this india adventure! @ Sugam Singhal: Yeah, the Taj is really breathtaking! It was good I had seen it at sunrise. I left New Delhi on April 8th though. I’m back home now. I really enjoyed India! @ Lakwatserong Tsinelas: I agree, the visa on arrival process is really a huge convenience for us! cool! very informative blog! now i know i can go to india without the hassle of applying visa here which requires numerous documents to present (according to a friend who previously applied for one) thanks for this post! If i dont have a credit card statement bcoz i only have a ATm bank account is it acceptable if i apply a visa on arrival??? So finally you’ve arrived in India. And you already visited The Taj Mahal. Did you get to know the history of the beautiful monument? Its mesmerizing. Truly! @ Photo Cache: It’s weird that their immigration website says that they accept dollars. Very misleading. Except for that incident with my change, the people at Kolkata airport were very nice though. Aleah what if i have everything except credit card i booked my hotel online in Online banking. Also i was born in Qatar my mom was an OFW I used to travel back and forth Philippines and Qatar but when i was 10 years old I stayed in Philippines for good. They do only take rupees at the airport. While my overall tour experience of India was great, I had a lousy experience with airport and airline workers in both Delhi and Mumbai, especially Mumbai, very rude….and NO they don’t take dollars. U can contact me. I m Indian. at least hindi na kailangan ng mga bank or credit card statements, which airline did you use? and how much are the plane tickets?